We Caught serval beautiful redfish this morning, with some nice snook mixed in. 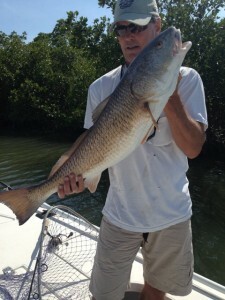 The redfish in the picture was caught on a live pilchard, that redfish and snook can’t resist this time of year . Fishing this May has been filled with some great action! We have been catching tons of big snook, redfish, and trout. Don’t miss out! Give me a call, and let’s go catch some fish!